Quick set-up, ideal in the event of a man over board. 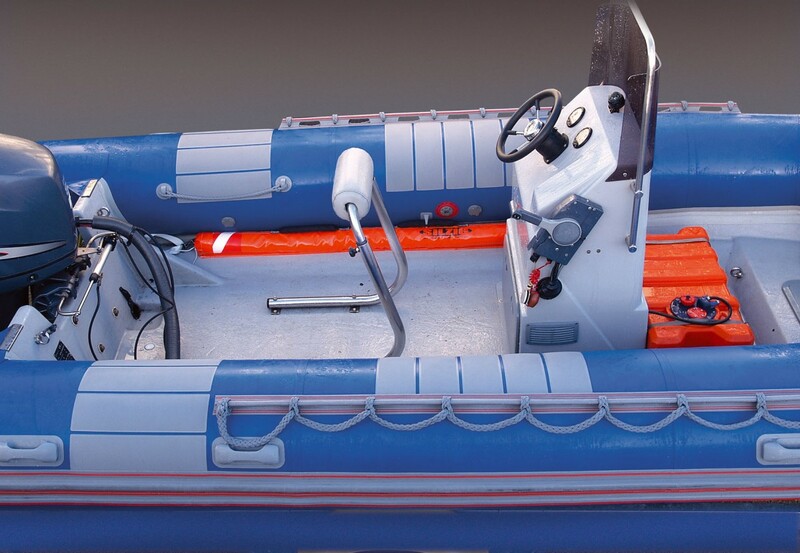 Slim, flexible and compact, easy to store on board : always close at hand and ready for use, Silzig fits ideally along the guardrail, on the transom or neatly inside a RIB along tube and floor. 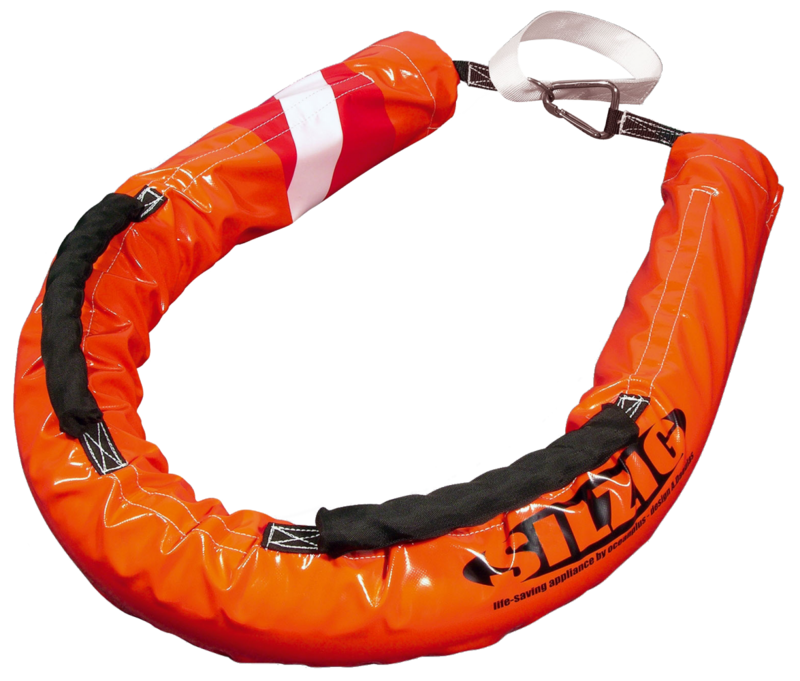 Harness-webbing on full length, with 40 mm polyester loop at one end and a Wichard hook at the other end. 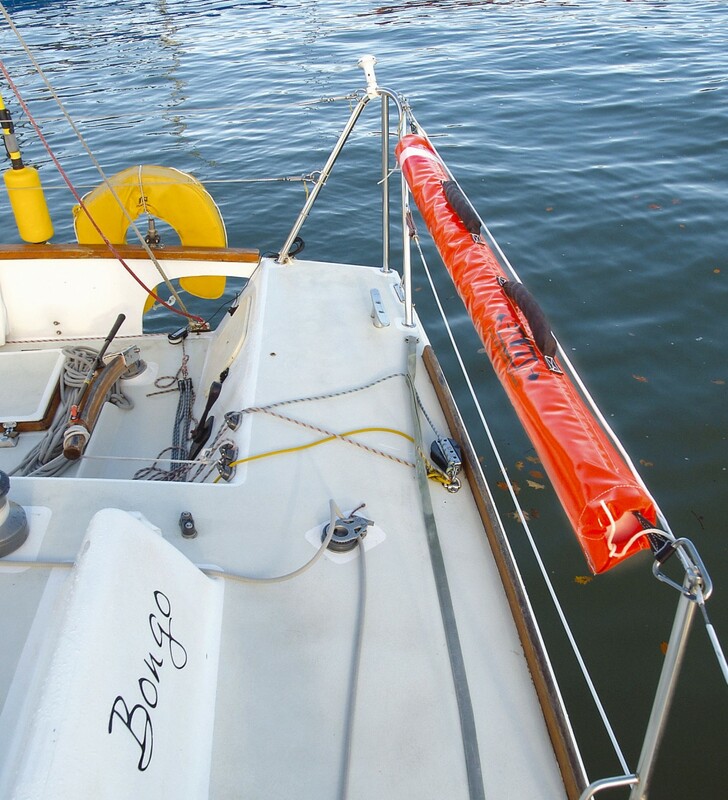 2 rigid handles (50 mm tubular polyester webbing) facilitate grabbing by onboard crew to hoist casualty back on board.